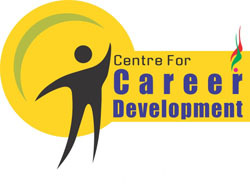 SBIT Centre for Career Development (CCD) is a SANGAM of Career Mentor, Aspirants and Opportunities. It’s a platform where any aspirant who wants to build his or her career in any field can take the guidance directly from the Role Model of the same field. It’s a KOSHISH to bring awareness in the society about various opportunities present in the global market and guidance to achieve the goal. CCD will organize various programs across INDIA with a vision to be the leader in Career Mentoring & Coaching as an Non Profitable Body. � Joint Programmes with Industry Associations. � Evaluation studies and reports for different Government Bodies. � Entrepreneurship and Innovation Forums to promote communication between Potential and Existing Entrepreneurs, Financial Institutions, Infrastructure Authorities, Policy Making Bodies, etc. � Dissemination of research to influence and promote effective economic and social policy development.